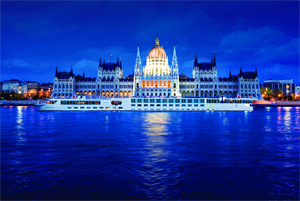 Uniworld River Cruises is introducing all-inclusive river cruises for 2014. The luxury river cruise line currently offers a host of inclusions, such as all non-alcoholic beverages, fine wine and beer served during lunch and dinner onboard, fully hosted shore excursions, free Internet and Wi-Fi, and all arrival and departure day transfers. But in 2014, they’ll also be offering unlimited fine wine, beer, and spirits, and all gratuities for all onboard and onshore services, including pre- and post-cruise extensions. “We are very pleased to provide our guests with even greater value and more convenience by offering an all-inclusive luxury cruise experience,” said Guy Young, President of Uniworld. Uniworld won ‘Best Luxury River Cruise Line’ and ‘Best Shore Excursions’ at the Cruise International Awards 2012.